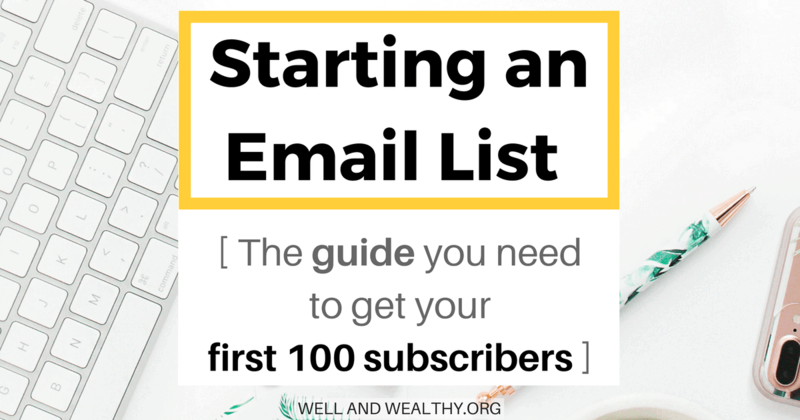 Starting an email list is something new bloggers are bombarded with constantly. But why would you want to build an email list and add another thing to your to-do list. Quite simply because email marketing is the most lucrative way to make money from your blog. 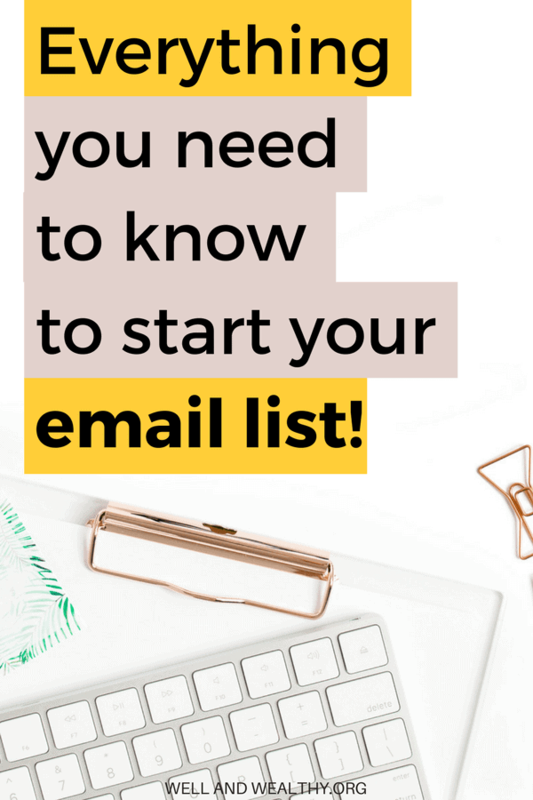 Sometimes called a mailing list, your email list is where you cultivate a tribe of people who love you and your brand, and are therefore wayyyy more likely to buy from you (by clicking on things like affiliate links or your own products). So it is as important as everyone says to start building your email as soon as possible. 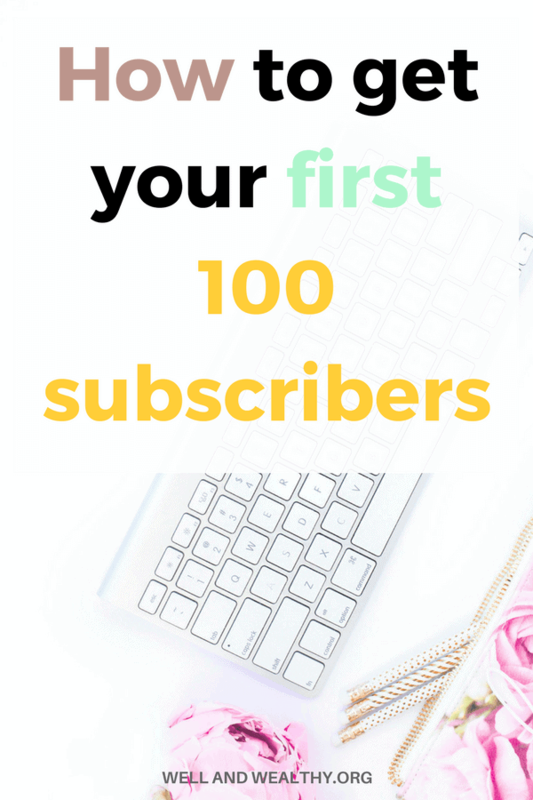 And in this guide I’m going to walk you through everything you need to know to get your first 100 subscribers! How I made my first $100 with affiliate marketing! Don’t worry it isn’t as scary as it sounds. An email marketing service (or email service provider) is just a company that allows you collect emails and then send emails to those addresses through their software. So you can actually get those email addresses in the first place. So that when people signup they will automatically receive their freebie and welcome emails (more on these later). Plus if you ever want to sell something you will need these automations further down the line to create funnels. Less necessary now but you will need this a few months on. Basically it lets you to ‘tag’ or ‘group’ people who have clicked on certain links, or completed certain actions in your emails, allowing you to target these people again. For example, say I had an affiliate link in my email for a course I wanted to promote, I could ‘tag’ or ‘group’ anyone that clicks on this link. Then if there was ever a sale on for that course I could just send an email about it to those subscribers who have actually shown interest. Perfect for when you need to send lots of sales emails but don’t want to annoy your whole list! I only recommend two email service providers, mainly because they both have every feature mentioned above and I’ve used them so I know they’re good. Note that I don’t recommend MailChimp; that’s because I’ve used them and they were pretty rubbish (sorry MailChimp). MailerLite would be my number one recommendation for a newbie blogger because it’s free up to 1,000 subscribers, and even then it only costs $10 per month (which is seriously cheap in the email world). It has all the features you could want (including tagging, which they call groups), it’s really easy to use and they have awesome online chat in case you ever do get stuck. I know the video says it has a lack of integration, and that is true, it’s the only downside to MailerLite. But realistically this is not an issue for beginners at all, plus with Zapier you can integrate with most other stuff. Check out MailerLite and see if it’s the right platform for you (the answer is most likely). The only other email service provider I recommend is ConvertKit. Let’s not dither around ConvertKit is amazing, but it’s also expensive. 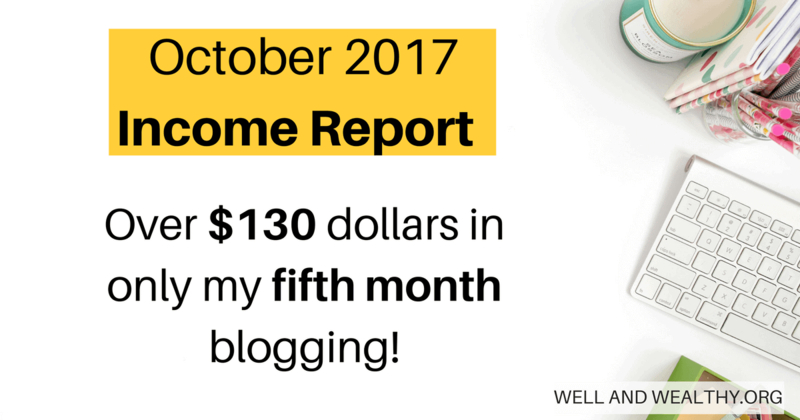 At $29 per month up to 1,000 subscribers, that’s a high price and not in the budget for most newbie bloggers. Realistically it has all the same features as MailerLite, except with ConvertKit the tagging feature is much easier to use. Unless you have quite a few of your own products to sell you won’t need to use the tagging feature enough to warrant the price of ConvertKit, and MailerLite’s tagging feature (they call it groups) will more than suffice. You can have a look at ConvertKit here if you’re interested. You will need your @domain email address to get set up with either MailerLite or ConvertKit. Hopefully you are with SiteGround (the hosting provider I love and recommend), if so here is link to a tutorial on how to create your own @domain email address for free if you haven’t already. Now I’m not going to explain how to get all set up with MailerLite or ConvertKit as both these companies have awesome tutorials and amazing online chat support who can help you far better than I can. 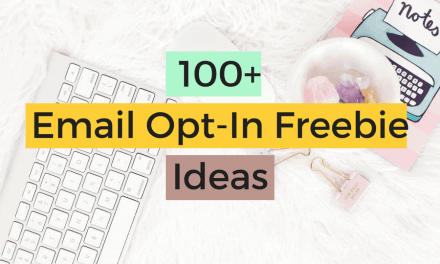 An opt-freebie is something like a free ebook, course, checklist, printable or template that your audience would want enough to hand over their email address for. People won’t just give you their email address to receive updates or newsletters because they are probably already subscribed to a ton of these already, so why would they want to be subscribed to another? Instead you need to give them a good reason to subscribe to your list by offering something awesome for free! What makes a good opt-in? Offering a free introductory course on a platform like Teachable is a perfect opt-in freebie because it provides loads of value. Also because it’s hosted on a professional course platform, while it’s free for you to use Teachable, your subscribers don’t necessarily know that so you look uber professional and the freebie looks even more valuable. Plus as long as your course genuinely solves a problem your subscribers will get a quick win and see you as an awesome mentor and trust you more, which is what email marketing is all about. Trust. You can enroll on each of them, for free, and really have a good look at what she’s created and see how much value is in each one, how they each solve a problem and are super easy for anyone to use. 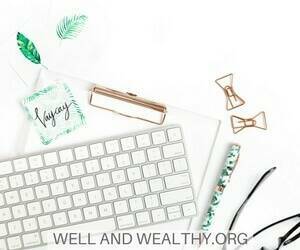 I’m going to use the advice from my absolute favorite blogger, Carly from Mommy on Purpose. She says your blog can be as broad as you want, and you can write about lots of different topics. But your email list must be super niche. 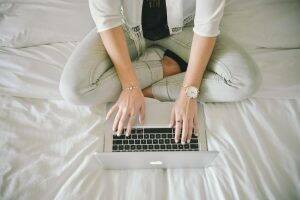 So if you blog about recipes, parenting and home décor, you would want to choose one of those topics for your email list, but then maybe niche it down even more, or combine slightly. So you could start an email list about different recipes for busy Moms. That would work. But on that email list you wouldn’t be sending parenting tips or home décor ideas, just things related to recipes. Of course you could have multiple email lists for your blog. But start with one and then when you feel confident, introduce another one later on down the line. A landing page (or post) is literally a page that just talks about the freebie you are offering. We also use landing pages for products sales. If you clicked on one of the Start a Mom Blog freebies above you would have been directed to a landing page. Take another look at it here. You can easily create landing pages with both MailerLite and ConvertKit as part of your subscription, and they have awesome tutorials to show you how. Or you can just create a landing post, a bog post just about that freebie, and you can see my own version of that here. Make sure you include Pinterest optimized images, and other social media images (e.g. Facebook images if you have a page) as you will need these for promotion later on down the line! Phew! We are getting somewhere now! You can create signup forms on both MailerLite and ConvertKit. Also make sure you create a thank you page, don’t just use the generic option that comes with the email service provider of a little pop-up thingy that says thank you for subscribing. That way you can personalize the page with other popular posts on your site and encourage them to stick around, more pageveiws equals more potential earnings. Plus it will come in super handy if you ever decide to run ads (trust me)!!! What makes a good signup form? Where should you put your signup forms? The most important place is your landing page or post of course. But you also want to include them in other similar topic blog posts (once or twice in the actual text), your sidebar, maybe your footer and an excellent place, if your theme allows, it is in the header of your site. Yes they do convert very well, but they also annoy your readers and Google hates them (so goodbye SEO). I do use them but only when I’m actively promoting something for a limited time. A really good alternative that’s far less intrusive is a bar at the top of your site. That seems to get a good number of conversions without affecting user experience, although I don’t know if Google still views it as a pop-up. WP Notification Bars is an excellent option if you want to try a bar at the top of your blog for free, you can check it out here. It’s exactly the same way you would promote any of your blog posts. Just think of your landing page or post as a special blog post, and promote that. The best way I’ve found is to create multiple Pinterest pins for that landing post/page and then make sure you are promoting them on Pinterest every single day, in group boards and on your own boards. If you’re struggling with your Pinterest marketing and getting pageviews from Pinterest, then I would really recommend Pinteresting Strategies as an excellent resource. 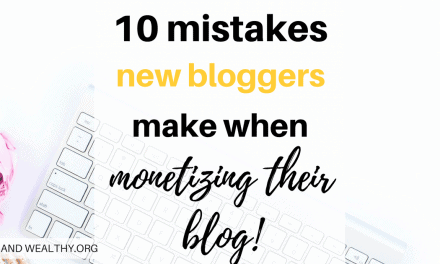 Carly gets over 200,000 pageviews per month just from Pinterest and you can have a look at her very cheap ebook here. Another great place to promote your freebie is in Facebook groups. I don’t normally recommend Facebook groups for promotion because you end up with artificial page views (people look at your site because they have to, not because they want to). But promoting your email list is fine because no one will actually sign up unless they want it! Make sure to promote on any other social media platform you’re on, plus sites like Quora and Reddit can be great places to gain valuable subscribers. 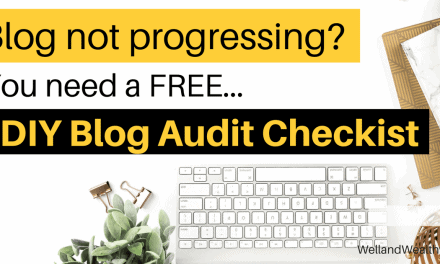 Once you really get into the swing of things you can create promoted pins and Facebook ads to really bump up your subscriber numbers, but that’s very advanced! Depending on what your freebie is you may need to send them an email immediately to actually get their freebie, for example if it’s a PDF you will want to send them a email with a link to download it. Now in an ideal world we wouldn’t just be sending one email welcome, we would be sending an email welcome series. 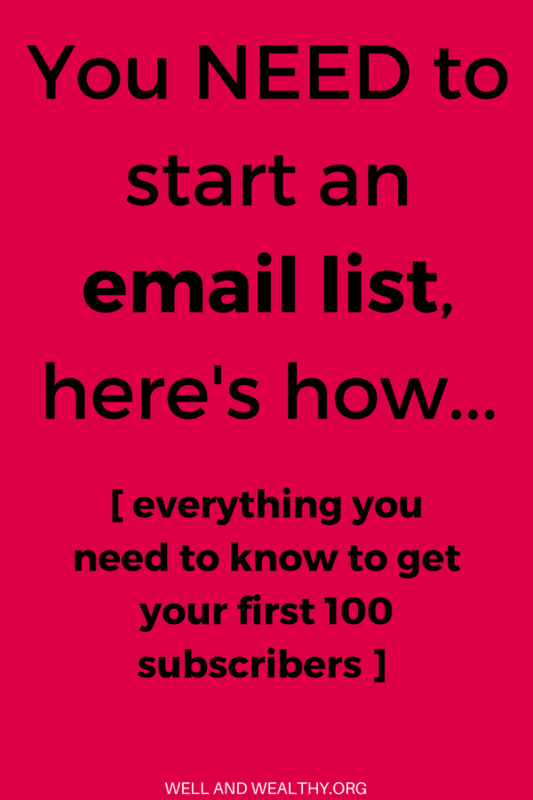 This is because those first few emails will be among the most opened you will ever send, therefore it’s a great opportunity to provide lots of value and build trust with your subscribers. Just don’t create an email welcome series if your freebie is a email course, because that will just be wayyyy too many emails for one person to handle. I normally advise you send around five emails in a welcome series, it seems to work well for me. That five include the initial welcome email that I outlined above. However if you’re sending an email welcome series you will also want to add these two things into that email. Email two should be the most valuable sent. This way, you encourage your subscribers to open the rest of your email welcome series and give them an idea of the awesome content you will be sharing in your future newsletters. An ideal subject is a free, really in depth tip regarding your niche. For example, in my second email, I talk about my best free traffic building tip (you can sign up for my email list if you want to find out that tip, just hit the button below and also get this post as a free PDF). Again make sure you include a P.S. tempting them with the next day’s offerings. 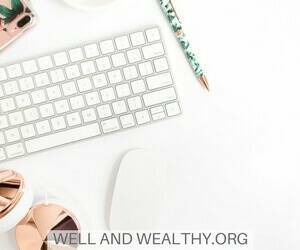 In email three I think it’s good to do a broad overview of your niche, including how you got involved, why and your favorite resources. Don’t forget to disclose if you use affiliate links at this point and you can’t use Amazon affiliate links in emails, FYI. 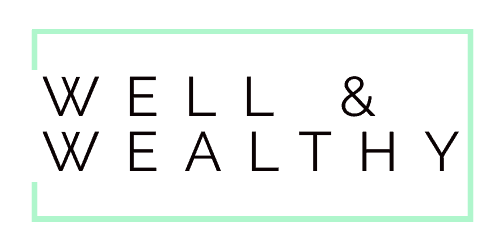 So in my own third email, I give a brief guide to blogging, explain why I started, and list the resources that I find most useful in my busines. Email four is where you need to bring out an incredible offer. This can be free or paid, although personally, I think free works best. You could give them access to another freebie you have created, or let them have a taster session of a service you provide. If you have your own products you could give them a mega discount code but really you don’t want to be selling to them straight away, so I would go with a free offering if you can. The last email, number five. Because the majority of people skim emails I like to use the final email to summarize all the main points from the previous four emails. Make sure to highlight the offer from email four, but don’t ‘sell’ it. Also let them know when they will next be receiving an email from you and thank them for allowing you into their inbox, remember it’s a privilege and you should treat it as such. But whether it’s one welcome email, or an entire email welcome series make sure you set this up as an automation. That way these emails will be send out to your new subscribers without you having to lift a finger. As I mentioned before, both MailerLite and ConvertKit have automations as a standard. Phew. Well done if you made it here. That was a long post! 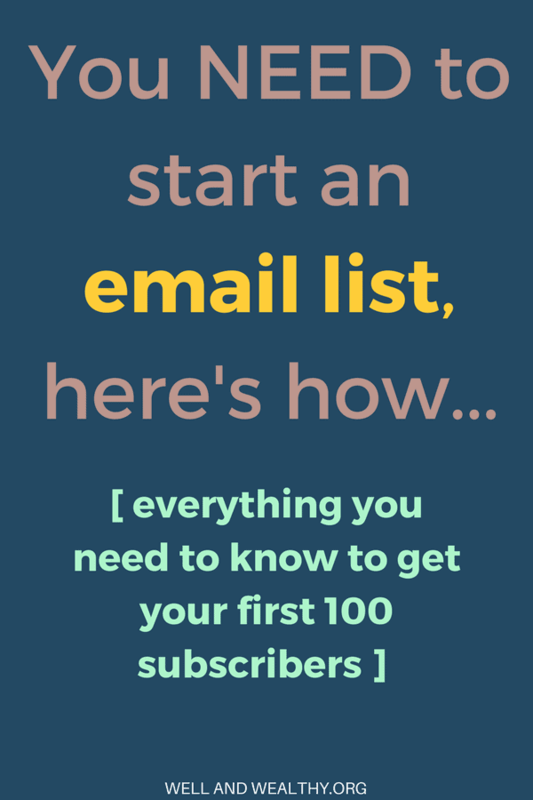 By now you should have a really thorough understanding of how start an email list. It’s actually super easy to do, and once it’s all set up you can just sit back and let it happen, perfect. In a few weeks I will be publishing a blog post about what you should be sending your subscribers in your newsletters, so look out for that. 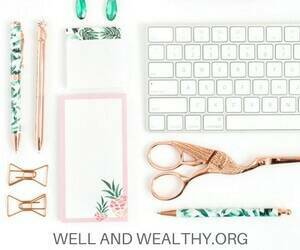 Any questions please don’t hesitate to comment below, or send me an email at sammy@wellandwealthy.org. You guys are the best!!! This is awesome! the money is in the list so it’s very important to set up from the very beginning. one of my mistakes I made in the beginning. I didn’t take it seriously lol. lesson learned. Yay I’m so glad you enjoyed it! At least you know now haha! I was interested in joining your mailing list, but can’t find it anywhere …Can I get a pointer? If you scroll up a bit you will see a sign up box which says ‘Get this post as a PDF’ and you can sign up there, or alternatively you can hop over to this page: The Ultimate List of Freebies for Bloggers and sign up there! What an incredible resource for new bloggers.i agree with you that Mailerlite is the ESP to use. They have great online chat support. It is good for newbies to know this when choosing their ESP. Nothing worse than having to open a ticket with support and wait for the actual support. Thanks again for a helpful post. Thank you so much and I’m glad you enjoyed it! MailerLite are just so good, and your right their online chat is amazing!